From Hands On Design, a new series called Farmhouse Chalk, shown stitched on 32 ct Slate linen using Classic Colorworks, Gentle Art Sampler Threads, Weeks Dye Works, and DMC floss. 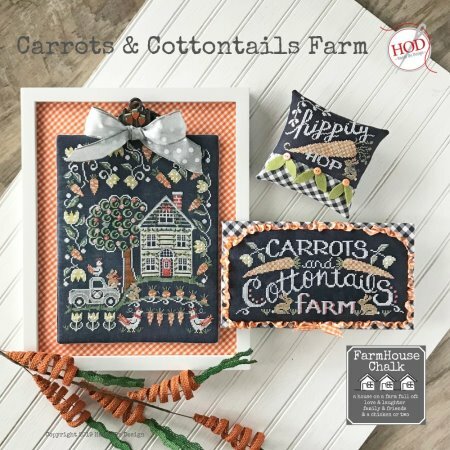 Shown is the first released, Carrots & Cottontails Farm. ***Join our club and receive each new design as it's released!